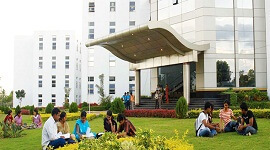 Presidency University is established in 2013 as a private university, under the Karnataka Act No.41 of 2013 and promoted by A.H.Memorial educational Trust. 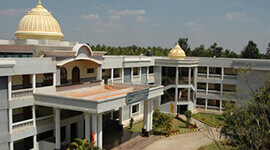 It is located in Yelahanka, Bangalore and is part of President Group of Institutions which has a college and 7 schools. College offers undergraduate and postgraduate programs in technology, management, commerce, law and Journalism. 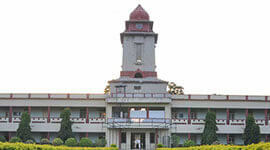 It is accredited with an ‘A’ grade by NAAC and bodies like FICCI, ASSOCHAM and associate member of Indian Universities. 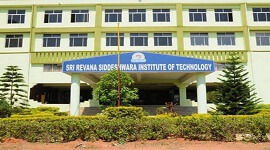 Affiliated to Bangalore University and The University is under the supervision of Chairman Nissar Ahmed, Pro-chancellor, CEO, Dr.M.Ramachandran-founder director of BITS Pilani Dubai and Vice Chancellor Prof.Dr.Nagendra Parashar. 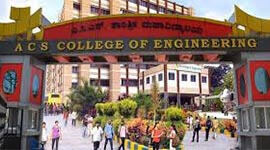 College of engineering is headed by Dr.Prabhakar Reddy. 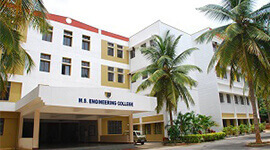 The university has modern spacious classrooms with projector and audio video display. Fully equipped computer labs. Huge library with related books, magazines, periodicals, reference books. 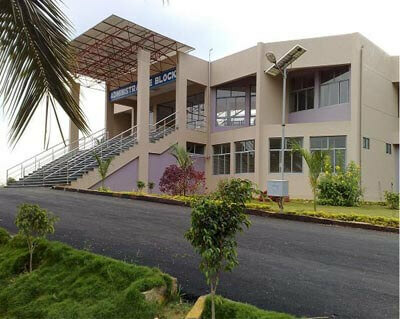 College also provides excellent sports facility with big play ground and gym with latest equipments. Highly qualified and experienced faculty from IISC, IIts etc provides excellent coaching .Seminars, Guest lecturers from well known industry experts are arranged for enriching the knowledge. College provides opportunity for exhibiting students talents by arranging cultural events, inter- college competition, co-curricular activities, various fests etc. Presidency University also takes care of student’s future by providing assistance in placement and it is one of the best colleges for top recruiters to hire the candidates due to excellent academic knowledge, strong global awareness and competence. 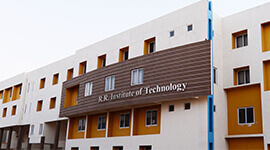 Placement cell provides soft skill training and co ordinates with top companies in campus selection and placement. 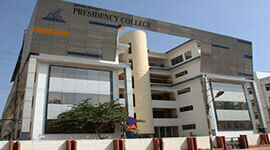 Top companies like Infosys, Wipro, Tesco, Accenture, i-gate, SAP and many more have appointed students from Presidency College. 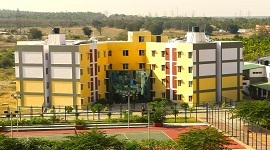 It is located in pollution free green campus in North Bangalore which provides peaceful learning. 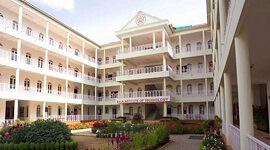 Around 63 Acres campus with spacious classroom, well equipped Laboratory, air conditioned computer lab with internet facility, library with large number of books, lab manuals, seminar reports, project reports etc. Placement cell conducts industry –interface program, skill enhancement program, management development program. Organizes Employability Enhancement Program to provide soft skill training to improve personality, communication skill, Certificate program to enhance professional skill and placement preparation like resume preparation, mock interview etc.Co-ordinates with top companies and takes care of placement.